Leading Manufacturer of salted cashew for namkeen from Mumbai. 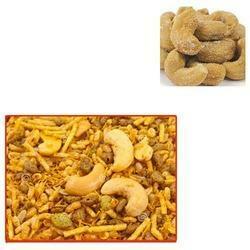 We are the world-class entity, engaged in offering clients optimum quality Salted Cashew for Namkeen. Used in namkeen, the offered salted cashew is processed under the supervision of experts. Additionally, provided salted cashew is tested on different quality measures before delivering it to customers in order to ensure its quality. We are giving this cashew in different sizes of packs that retain its freshness for long time. Looking for Salted Cashew for Namkeen ?